Dubai: The largest study on diabetes ever carried out in the UAE is set for release by summer next year, says one of the study’s chief authors. Health authorities in UAE have long been concerned by the country’s high levels of diabetes, currently, the 16th highest in the world, World Health Organisation figures show. And the rise in cases shows no signs of slowing down. An estimated one in five people in the UAE — 19 percent of the population — is estimated to have the disease, which makes the body unable to control blood sugar levels. Diabetes is when your blood glucose, also called blood sugar, is too high. Blood glucose is the main type of sugar found in your blood and your main source of energy. Glucose comes from the food you eat and is also made in your liver and muscles. Your blood carries glucose to all of your body’s cells to use for energy. Your pancreas—an organ, located between your stomach and spine, that helps with digestion—releases a hormone it makes, called insulin, into your blood. Insulin helps your blood carry glucose to all your body’s cells. Sometimes your body doesn’t make enough insulin or the insulin doesn’t work the way it should. Glucose then stays in your blood and doesn’t reach your cells. Your blood glucose levels get too high and can cause diabetes or prediabetes. Over time, having too much glucose in your blood can cause health problems. Type 1 diabetes. 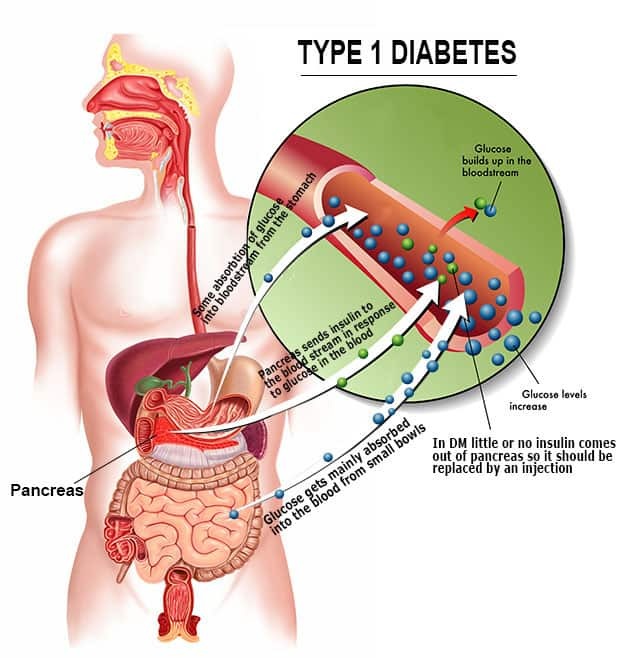 Type 1 diabetes is an autoimmune disease, meaning the body’s immune (defense) system attacks and destroys the cells in the pancreas that make insulin. If you have type 1 diabetes, your body does not make insulin, so you must take insulin every day. Type 2 diabetes. This is the most common type of diabetes. You can get type 2 diabetes at any age, even during childhood. With type 2 diabetes, your body does not make enough insulin or is not able to use its own insulin correctly. When this happens, blood glucose levels rise. Gestational diabetes. 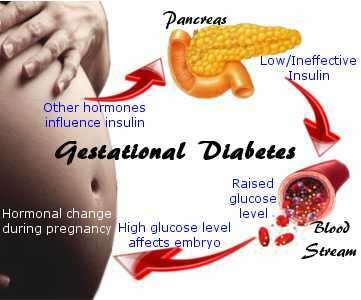 Gestational diabetes is a type of diabetes that happens only during pregnancy. 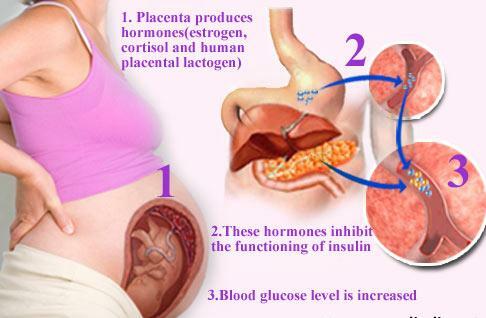 Gestational diabetes can cause health problems for the baby and the mother if not controlled. Although gestational diabetes goes away after your baby is born, having diabetes during pregnancy raises your risk for type 2 diabetes later on. Right away, the body’s cells may be starved for energy. Over time, high blood glucose levels may damage the eyes, kidneys, nerves or heart. What are the signs and symptoms of diabetes? When you have diabetes, your body becomes less efficient at breaking food down into sugar, so you have more sugar sitting in your bloodstream. “Your body gets rid of it by flushing it out in the urine. 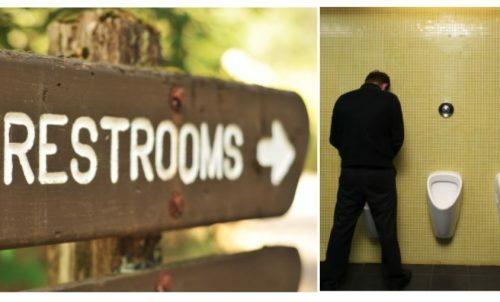 That’s why you’re going to the bathroom a lot.” Most patients aren’t necessarily aware of how often they use the bathroom but one red flag is whether the need to urinate keeps you up at night. Once or twice might be normal, but if it’s affecting your ability to sleep, that could be a symptom to pay attention to. Urinating a lot will also make you feel parched. 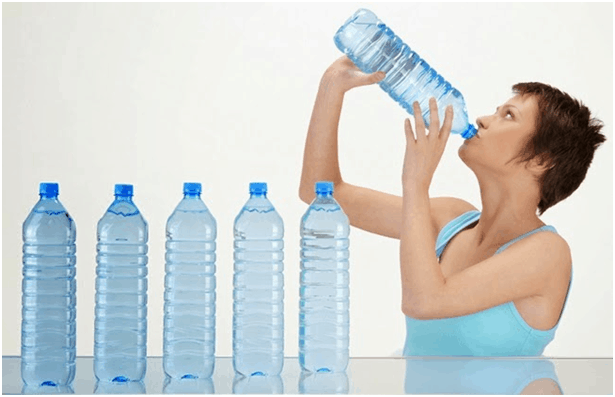 A common symptom with patients is that they use drinks like juices, soda, or chocolate milk to quench their thirst. These sugary beverages then pack the bloodstream with excess sugar, which can lead to the problem all over again. 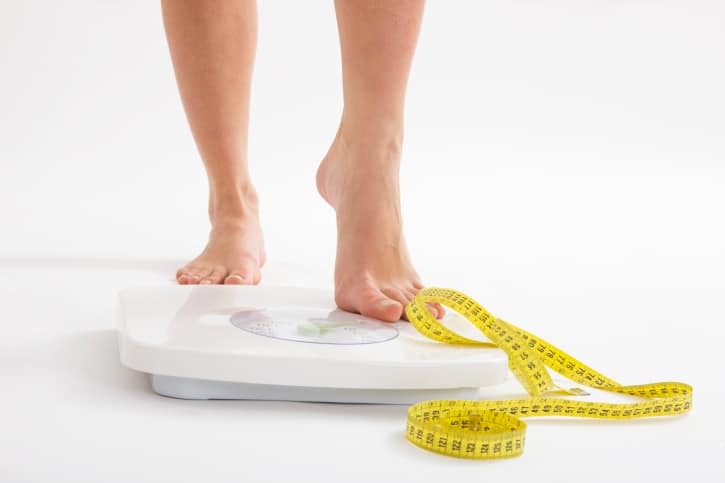 Considering that being overweight is a risk factor for diabetes, it sounds counterintuitive that shedding pounds could be a sign of the disease. “Weight loss comes from two things,”. “One, from the water that you lose [from urinating]. Two, you lose some calories in the urine and you don’t absorb all the calories from the sugar in your blood.” Once people learn they have diabetes and start controlling their blood sugar, they may even experience some weight gain—but “that’s a good thing,” says Dr. Cypess, because it means your blood sugar levels are more balanced. It’s not uncommon for patients to suddenly feel unsteady and immediately need to reach for carbs. When you have high blood sugar, your body has a problem regulating its glucose. If you’ve eaten something high in carbohydrates, your body shoots out a little too much insulin, and your glucose drops quickly. This makes you feel shaky, and you tend to crave carbs or sugar. This can lead to a vicious cycle. Of course, you’re exhausted every now and then. 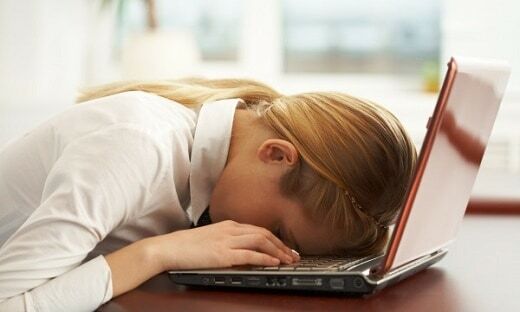 But ongoing fatigue is an important symptom to pay attention to; it might mean the food you’re eating for energy isn’t being broken down and used by cells as it’s supposed to. “You’re not getting the fuel your body needs,”. 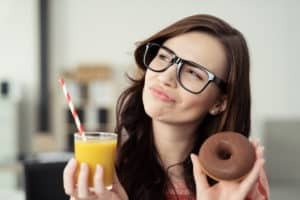 “You’re going to be tired and feel sluggish.” But in many cases of type 2 diabetes, your sugar levels can be elevated for a while, so these symptoms could come on slowly. When your blood sugar is out of whack, you just don’t feel well and might become more short-tempered. In fact, high blood sugar can mimic depression-like symptoms. “You feel very tired, you don’t feel like doing anything, you don’t want to go out, you just want to sleep”. Don’t be alarmed: This is not diabetic retinopathy, where the blood vessels in the back of the eye are getting destroyed. In the early stages of diabetes, the eye lens is not focusing well because glucose builds up in the eye, which temporarily changes its shape. “You’re not going blind from diabetes,”. In about six to eight weeks after your blood sugars are stabilized, you’re not going to feel it anymore; the eye will adjust. The immune system and the processes that help the body heal don’t work so well when your sugar levels are high. Elevated sugar levels can cause complications well before you realize you have diabetes. One of these is mild nerve damage, which can cause numbness in your feet. It has been proved that uncontrolled diabetes causes serious heart diseases leading to heart attack. This happens because high blood sugar damages the nerves and cells of the body that pump blood to the heart and carry blood to the various parts of the body through the veins. When this functioning is hampered naturally it affects the heart that slowly becomes weak and succumbs to heart attacks. Moreover, diabetes causes high blood pressure, high cholesterol and so the risks of cardiac arrests are very common among people with diabetes. Controlling diabetes is extremely important to stay healthy and carry on all your activities properly. Diabetes damages the nerves which lead to innumerable problems. It not only leads to digestion issues but weakens the limbs as well. When nerve damages are related to digestion it can cause feelings of nausea, diarrhea, vomiting, and constipation also. The legs and feet are affected the most. In extreme cases, a person fails to walk straight and there is a kind of shivering sensation in all the limbs. Nails become brittle and sometimes bend back towards the toes causing great pain and infections. 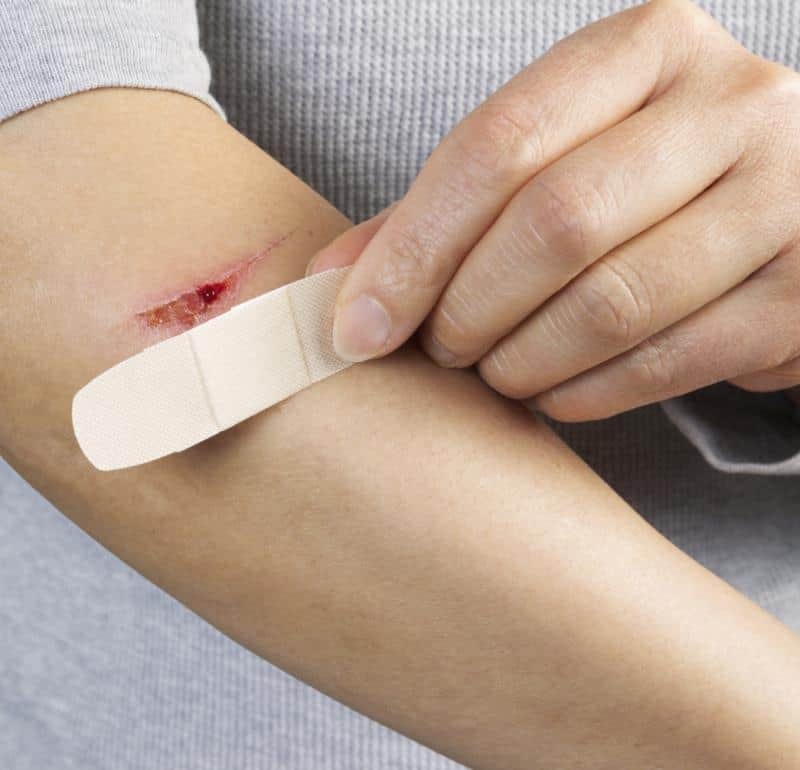 It is a well-known fact that when there are infections, cuts, bruises or blood loss in a diabetic it is very difficult to stop the blood flow and the infections take a lot of time to heal. If diabetes is not treated at the right moment, such complications become serious issues leading to amputation also. The lack of feeling and sensation caused by high blood sugar level weakens the entire body and with it the mind too. One loses the confidence to carry on in life. 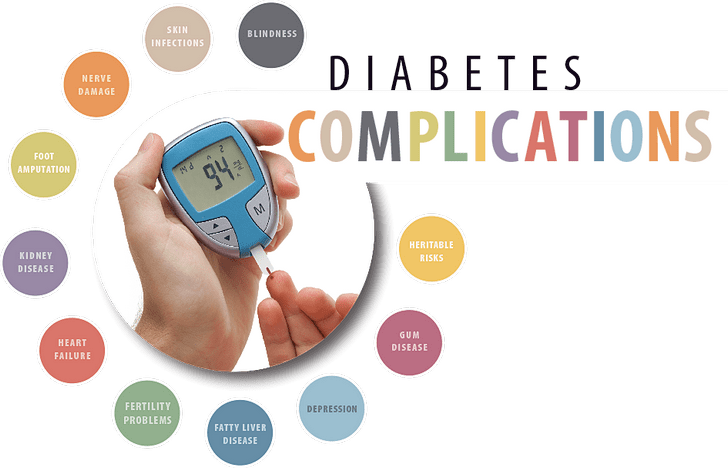 However, nowadays comprehensive diabetes management is available and if one is cautious from the start and takes medicines and follows the doctor’s advice such risks become lesser. Kidney problem caused by diabetes is known as Diabetic Nephropathy. The small blood vessels that lie inside the kidneys are damaged by high blood sugar and so they become inefficient and gradually fail to function totally thus leading to death in some cases. 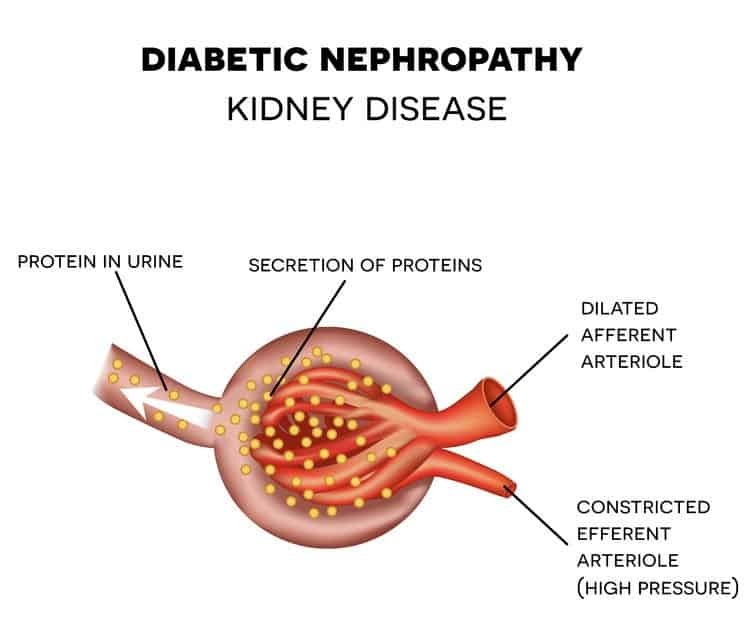 The problem with diabetes-related kidney problems is that there are no prior symptoms as such except for swelling of feet and legs and that too at the advanced stages. But since everybody knows that diabetes affects the normal functioning of the kidneys, it is important for a diabetic to keep a check on blood sugar levels and go for kidney check-ups from time to time. Diabetes is at the root of various complications that sometimes spoil the entire life of the sufferer. Skin infections are quite common which are usually detected as fungal or bacterial infections. Such infections also occur when your cholesterol level is also high. But the main cause is diabetes as the flow of blood is hampered that leads to dryness, itchiness, redness or patches on the skin. 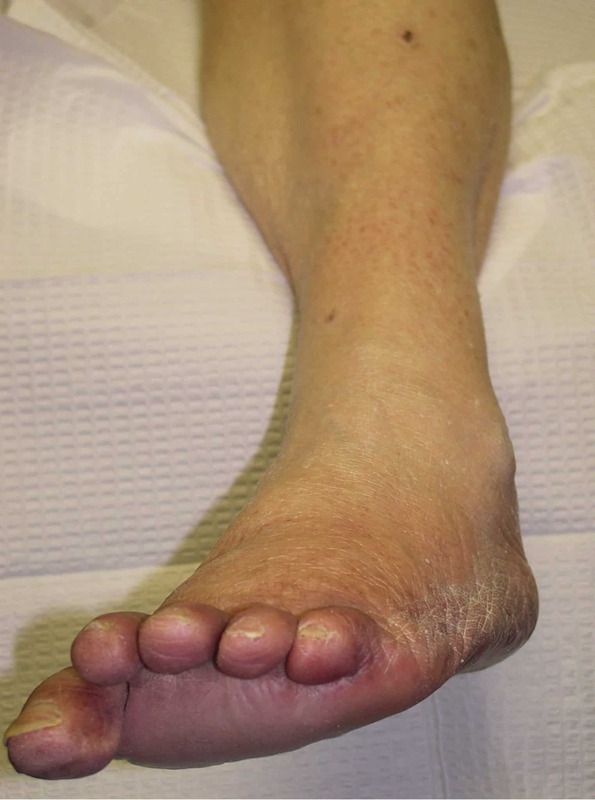 Foot problems are very common among diabetics. If proper care is not taken blisters, cuts and nail infections aggravate and cause serious complications. Hence people with diabetes must take extra care of their feet. Any kind of eye disease that is caused by diabetes is termed as Diabetic Retinopathy. Most diabetics suffer from one or the other kind of eye problems like Glaucoma and Cataracts. These are the extreme stages. 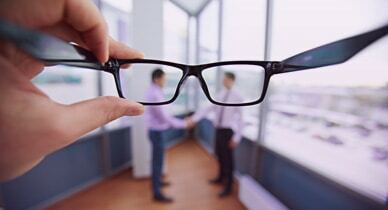 Initially, diabetics suffer from vision problems. They cannot see clearly or vision seems to be blurry. Hence it is necessary to visit the ophthalmologist immediately so that problems can be treated at its early stages and if necessary the doctor can refer to other specialists for advice. 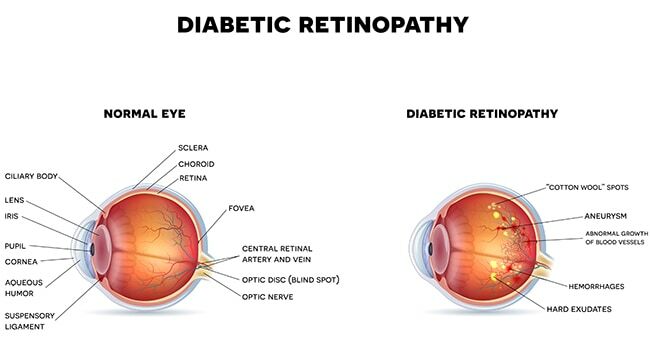 Researchers are of the opinion that most diabetics in the United States of America suffer from loss of vision because diabetes damages the blood vessels of the retina. It even affects people of merely 20 years of age not to speak of elderly people. To manage diabetes-related eye problems, regular eye check-ups along with control over blood sugar levels and lipid levels is absolutely important. 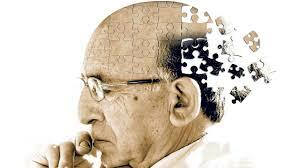 Type 2 diabetes increases the risks of Alzheimer’s disease. It is mainly caused due to continuous uncontrolled diabetes. Hence in any form, blood sugar levels should be kept in check to stay healthy and avoid such diseases that practically have no concrete remedies. 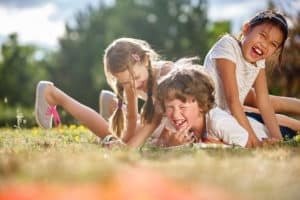 Children who grow up in the womb of a mother, who has been suffering from diabetes for quite some time, develop the risks of diabetes later in life. Gum problems are very common in peoples with high blood sugar level. Teeth also become weak that hinder chewing of food properly thereby causing digestion problems. If you have diabetes, some way or the other all your organs get affected. 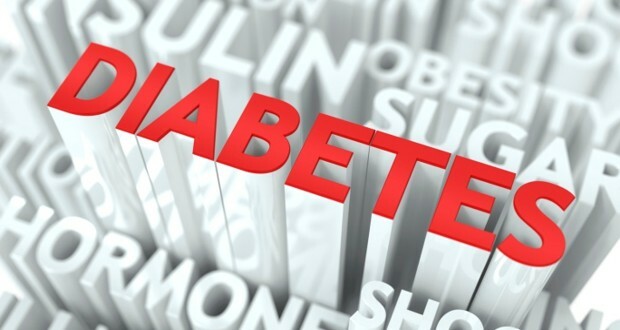 So if you wish to lead a happy and healthy life, do not neglect or overlook your Diabetes. It is really difficult to cure diabetes completely but it can be controlled to a great extent by maintaining a proper diet, regular workouts, and medications. 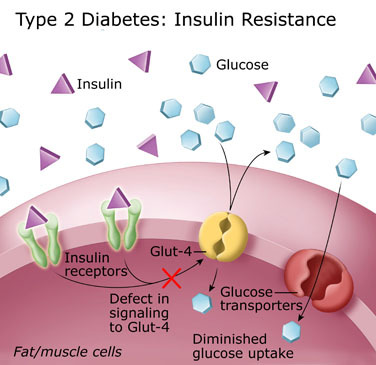 I’ve simplified the various effective ways to increase your insulin and leptin sensitivity – and to prevent or reverse diabetes – into six easy, highly doable steps. Exercise. Contrary to prevailing recommendations of shunning exercise during illness, staying fit is highly important in getting diabetes and other diseases under control. In fact, it is one of the fastest, most powerful ways to lower your insulin and leptin resistance. Get a head start today by reading more about Peak Fitness and high-intensity interval training – less workout time, more benefits. Eliminate grains and sugars and ALL processed foods, especially those made with fructose and HFCS. Conventional diabetes treatment has failed over the last 50 years partly because of its seriously flawed dietary principles. Eliminate ALL sugars and grains – even “healthful” ones like the whole, organic, or sprouted grains – from your diet. 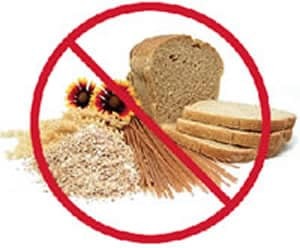 Avoid bread, pasta, cereals, rice, potatoes, and corn (which is, in fact, a grain). Until your blood sugar gets under control, you may want to restrict fruits as well. It’s particularly important to eliminate processed meats. In a groundbreaking study comparing processed meats to unprocessed meats for the first time, researchers at Harvard School of Public Health found that eating processed meat is associated with a 42 percent higher risk of heart disease and a 19 percent higher risk of type 2 diabetes. Interestingly, they did not find any risk of heart disease or diabetes among individuals eating unprocessed red meat such as beef, pork, or lamb. Besides fructose, eliminate trans fats, which increase your risk for diabetes and inflammation by interfering with your insulin receptors. Get plenty of omega-3 fats from a high-quality, animal-based source. Monitor your fasting insulin level. Every bit as important as your fasting blood sugar, your fasting insulin level, or A1-C, should be between 2 and 4. The higher your level, the worse your insulin sensitivity is. Get probiotics. Your gut is a living ecosystem of a multitude of bacteria. The more good bacteria you have, the stronger your immunity and the better your overall function will be. Optimize your gut flora by consuming fermented foods like natto, miso, kefir, raw organic cheese, and cultured vegetables. You may also take a high-quality probiotic supplement. Now we have NAET in Dubai. Connect with us through our Facebook page at www.facebook.com/NAETDubai to talk to our experienced and approved NAET practitioner in UAE. She will help you to understand more about NAET therapy. Visit: www.naetdubai.com. You will find a wealth of information here along with an opportunity to speak confidentially on any of this WhatsApp number 056-639 0197 or Call 04-420 1633 with the NAET practitioner. Thank you so much for your comment. Please don’t forget to subscribe to our blogs. Feel free to contact us if you need any further information.